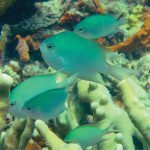 Two of the most spectacularly colored mesophotic fishes of the Central Pacific were just filmed for the first time, as part of the ongoing expedition to American Samoa by the Okeanos Explorer. 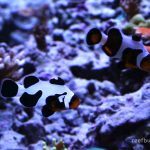 These are some of the true holy grails for rare fish collectors and neither species has yet to be collected alive for aquarists. 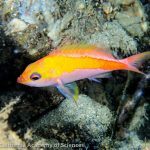 Both were encountered along a steep, vertical face—a veritable underwater cliff—in depths of over 200 meters, and, seeing them in their natural surroundings, it immediately becomes apparent why such gorgeous fishes can continue to remain so elusive. A real ichthyology geek out moment here. 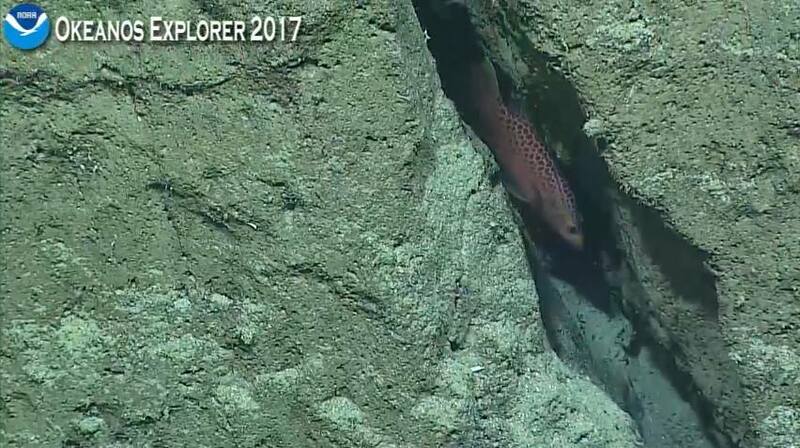 Incredible footage of Odontanthias tapui from the Okeanos explorer’s ROV camera. Check out those caudal fin lobes. Odontanthias tapui was observed several times during this dive, with it’s vibrant purple and yellow hues standing out in stark relief against the drab and featureless environment it favors. It’s porphyric perfection is enough to make one’s heart skip a beat, and those sumptuous caudal fin lobes are absolutely mouthwatering. 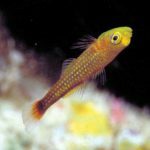 It bears a striking similarity to a related fish, O. chrysostictus, which has on very rare occasion been collected for the aquarium trade from Indonesia. 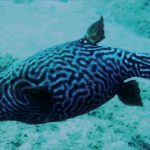 The two can most easily be told apart by the purple dorsal fin of O. tapui—a fish which is apparently restricted to the South Pacific, being reported now from American Samoa, the Cook Islands and French Polynesia. Liopropoma maculatum, observed in a few hundred meters depth at American Samoa. The other highlight was a lovely Liopropoma maculatum. This bulky denizen of the deep has previously been reported from Hawaii and Japan and is immediately recognizable thanks to the exuberant proliferation of reddish spots that adorn its flanks. It is, in a word, amazingtastic. Perhaps someday this fish can be collected, captively bred, and made widely available for aspiring home aquarists, but, alas, that day is not today and we will for now have to content ourselves with these fleeting images of a live specimen from the briny deep. Also of note was a brief glimpse of a dottyback (yes, a dottyback) at an incredible 215 meters! This has been tentatively identified by Dr. Anthony Gill, the world’s authority on the group, as Pseudoplesiops rosae and would likely mark a new depth record for the genus (the previous record was a P. collare from 180 meters). Of course, fishes as small as this dottyback are quite poorly sampled in these habitats, and it’s possible that a few pseudochromids are common inhabitants of this aquatic “Twilight Zone”. Who knows what other exciting finds will turn up on the next dive? Stay tuned.